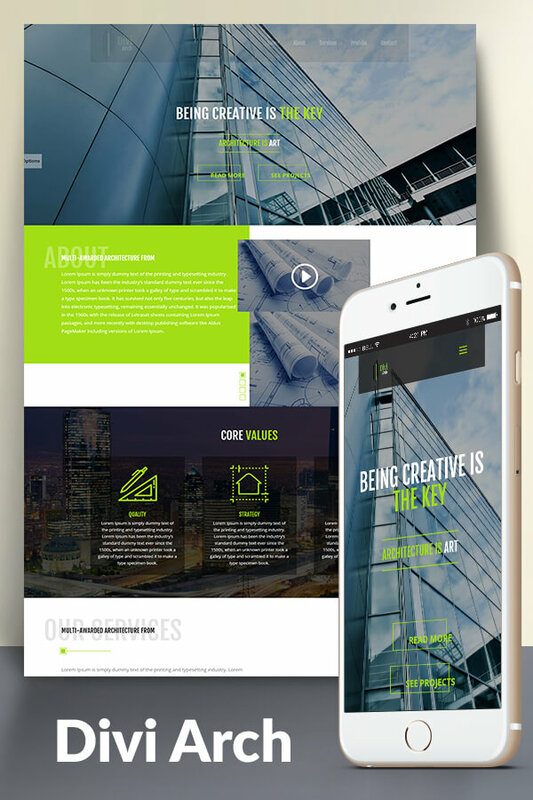 Divi Arch is premium child theme intended to be used for Architects website. However, it can be used for any other creative office or niche because it contains styles that support creative expression. Divi Arch is fully responsive and is compatible with all major and well-coded plugins.